Welcome to "The Last Door" brave adventurers! A game inspired by classic horror books by H.P.Lovecraft, and Edgar Alan Poe, that will exploit the power of your imagination to bring alive your worst nightmares. This is a free to play game, supported by players who want to, donating towards the development of each new chapter. Players who want to, have the ability and opportunity to shape the creation of each new chapter, by contributing ideas and taking decisions in the community forums. The game is designed to be a webseries and up to the present day it has three episodes: "The Letter" (Pilot Chapter ), "Memories" (2nd Chapter) and "The Fours Witnesses" (3rd Chapter). The fourth episode ("Ancient Shadows) is scheduled to be released on January 2014. Why Early Access you'd ask? Well, for us is the the perfect oportunity to work all the technicallities and QA of releasing the game in Steam, while simulteneously the creatives work hard in the newest episode, the much anticipated Seasont Two's finale. This is part of our commitment to bring the all the others platforms much sooner than we did for the first Season, where it took us almost 3-4 month to release on Steam, two month more for iOS, and finally two extra for Android. This time around, we're hopeing for a two months span between the availability of the final episode, and the release all other platforms. If you'd follow the development of The Last Door series, you'd proabbly know how much we enjoy working with the community to make the games as aweseme as it is. For all of the game's fans who prefer to play in Steam, this release in Early Access would be opening this process for them for the first time. The first episode of the new Season, "The Playwright" is near final, but still well be listening to player's feedback on the Steam forums and working with them all to make the game really shine. This is our first time on Early Access, please let us know what you think about how are we doing! The Last Door Collector's Edition is now available in iOS and Android devices. 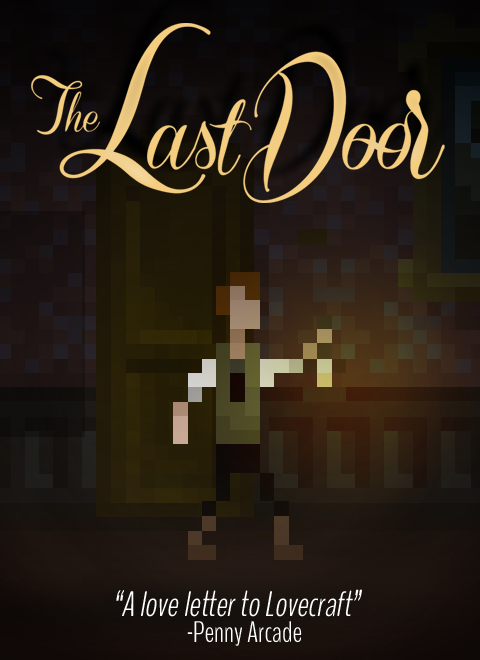 Become a premium member with a special discount and get exclusive content from The Last Door. New Chapter of "The Last Door" released! season 2 - chapter 1: The Playwright! Latest chapter is really well made, love the London map addition^^. here my let's play if anyone wants to take a look before buying. Game is free to play except latest part. Great game...! Hope next chapter comes out soon^^. Do you have a demo for PC.